The suspect in the fatal hit-and-run is in custody while two 5-year-old boys are recovering from critical injuries and facing a long road to recovery without their mother who died in a Friday night crash. Douglas James Crystal, 36, of Cedar Springs, is facing multiple charges including reckless driving causing death and failure to stop at the scene of a serious personal injury accident, according to Kent County Correctional Facility. According to officials, the crash happened around 8:23 p.m., Friday, September 15 at the intersection of 15 Mile Road and Ritchie Avenue in Courtland Township. Authorities said Crystal was traveling northbound at a high rate of speed on Ritchie Avenue when his pick-up truck blew the stop sign at 15 Mile Road and slammed into a vehicle heading westbound on 15 Mile Road. 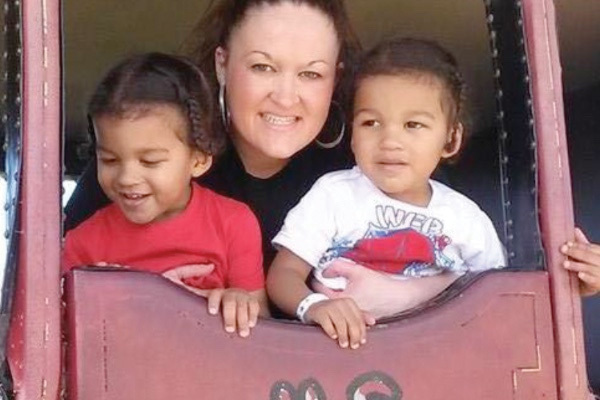 Meranda Baguss, 33, of Sand Lake was on her way to meet the father of the two boys in Byron Township driving a 2011 Ford Fusion when her vehicle was broadsided by the 2015 Ford F150 pick-up truck. 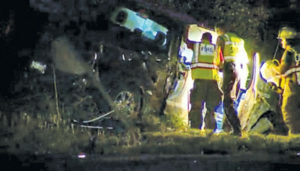 It was estimated that the pick-up was traveling at approximately 90 miles per hour. Baguss was killed instantly and pronounced dead at the scene. Both boys, who were in the back seat in their car seats, were critically injured. Five-year-olds Chauncey and Tony Anthony III, were taken to Helen DeVos Children’s Hospital in Grand Rapids with life-threatening head injuries. The twins remain in recovery without their mother and were listed in critical but stable condition surrounded by family on Sunday. They had just started kindergarten at Cedar Trails Elementary in Cedar Springs. Baguss was a certified nursing assistant for Spectrum Health. “She took care of others and she took care of her own. She was great,” said Anthony Sr. Crystal fled the scene of the crash leaving the totaled truck behind. 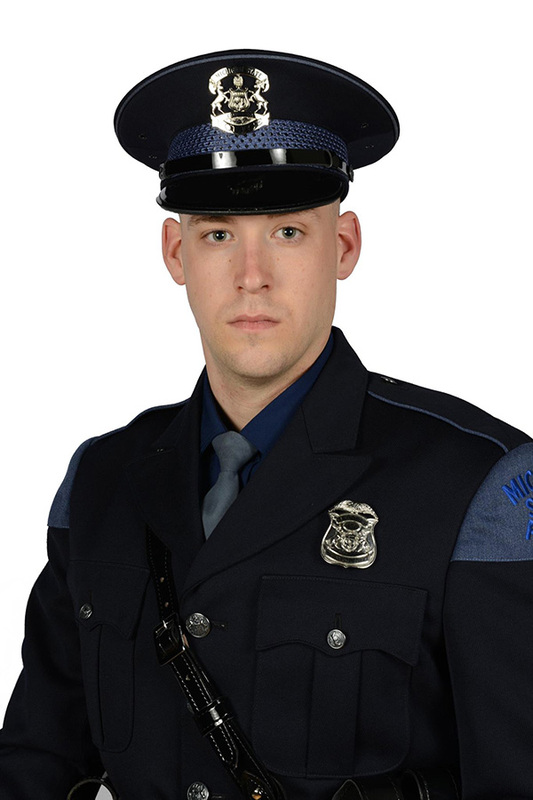 Deputies searched the area with multiple canine units and were assisted by the Michigan State Police Helicopter for several hours but were unable to locate Crystal. Police say alcohol may have been a factor in the crash. Acting on a tip, Kent County authorities located and arrested Crystal taking him into custody where he is facing multiple charges. He was arraigned on Monday, September 18. Cedar Springs Superintendent Laura VanDuyn said the district is working to support the family and that counselors will be made available. 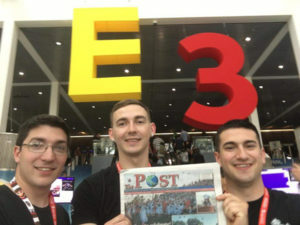 A gofundme page has been established at https://www.gofundme.com/jn5a88-meranda-baguss-tony-chauncey. All proceeds will go to Meranda’s family for funeral expenses and if there is any left over, will go towards the boys medical expenses. 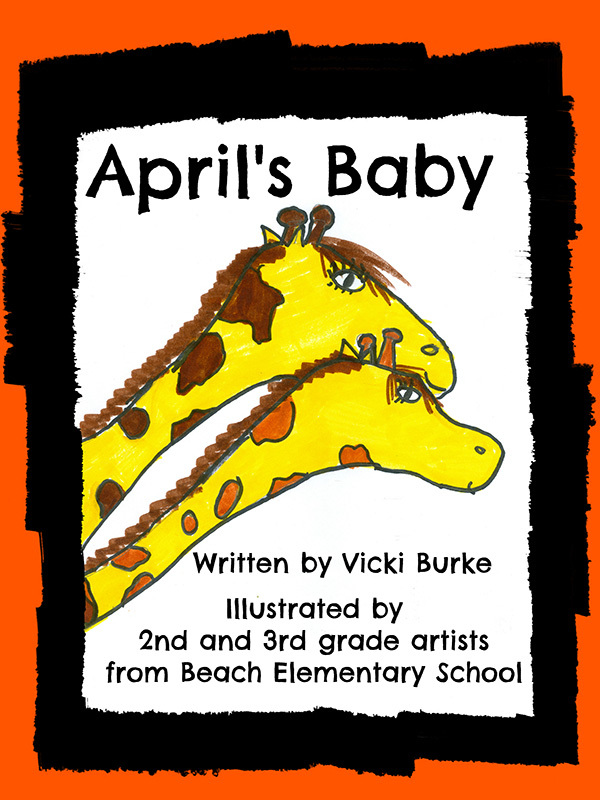 Earlier this year, second and third grade students at Beach Elementary School in Cedar Springs celebrated March is Reading Month by illustrating and publishing a book about the internet sensation, April the Giraffe. They will now get something in return. Thirty-one students, affectionately dubbed “Team April,” volunteered their drawing talents for a short story titled “April’s Baby,” which Vicki Burke, Beach Elementary art teacher, penned and graphically designed. The book has received rave reviews on Amazon, and Burke has received positive feedback from people she meets in person as well. 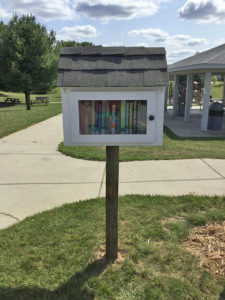 “What started as a simple art project exploded into so much more,” remarked Vicki Burke, at the Cedar Springs Board of Education meeting Monday evening, Sept. 11. 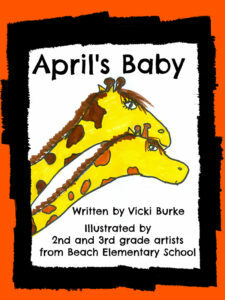 She said that the book taught the children about art, literacy, giraffe conservation, and more. When it was finished, it went on Amazon. This summer, Burke went to New York to see the giraffes. But it was bittersweet, because she felt like she wanted the kids to see the giraffes, too. 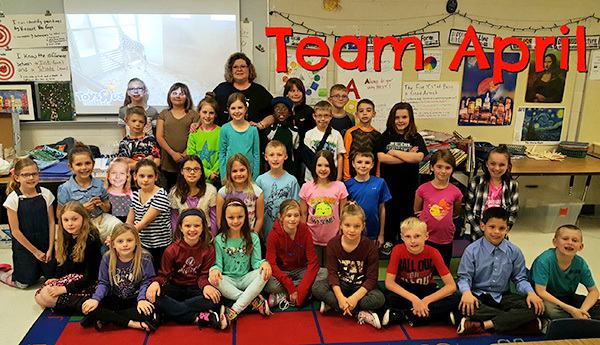 So, while they cannot take a field trip to see April and her baby, a couple people and businesses worked together to make something happen closer to home. Transportation supervisor Jerry Gavin, who now works with Dean Transportation, said they are willing to donate one school bus and one school bus driver free of charge to take the kids to Boulder Ridge Wild Animal Park in Alto, to see the giraffes. And Ryanne Donahue, with the new State Farm office on Main Street here in Cedar Springs, said she will donate admission for the students and chaperones and also enough for them to feed the giraffes as well. The announcement was made at the school board meeting. The children who were there were all smiles, and seemed excited by the news. There is no word yet on when the trip might happen. The walking path behind the library was paved with asphalt last week. It’s between Cedar Creek and the North side of the library. The bricks and blocks will also soon be installed on the retaining wall. 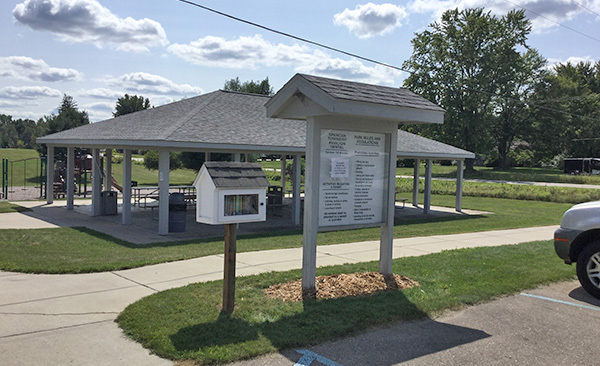 If you haven’t been over to the new Cedar Springs Community Library to see how the landscaping and grounds are coming together, you should take a walk around and see what a beautiful place it is! Is there anything more enjoyable than seeing a dog walking or running in the park—tongue hanging out without a care in the world? How about hundreds of dogs (and owners) in Halloween costumes at the park? 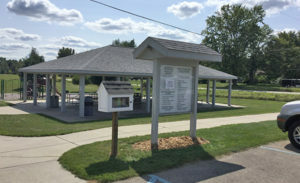 That’s what participants in Humane Society of West Michigan’s (HSWM) 5th Annual Bark in the Dark extravaganza at Riverside Park will witness on Saturday, October 7 at 6:30 p.m. 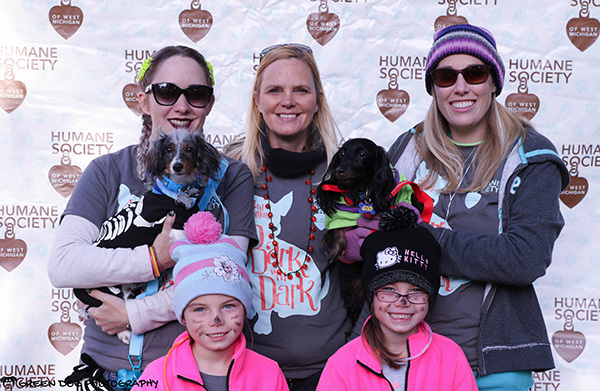 Hosted by HSWM, Bark in the Dark is an annual fundraising 5K & 1 Mile fun run/walk supporting animals awaiting their forever families. This fun-filled event, perfect for the whole family, but especially those furry family members, will feature a photo booth, face painting, and balloon animals before the run/walk from 5:00 p.m.-6:30 p.m. The run/walk begins at 6:30 and will be followed by music, complimentary snacks, and a beer tent! Kids under 5 free with registered adult; youth 5-17 $10; and adults 18 and over $35 ($40 on race day). To learn more about Bark in the Dark, visit www.barkinthedark.org. In the Nature Niche article titled Solar Eclipse and Science Credibility printed August 31, 2017, I stated Copernicus was placed under house arrest for not recanting that the Earth goes around the sun. It was Galileo that was placed under House arrest for building on Copernicus’ work. Source of corrected information is found by Googling Copernicus house arrest and reading Wikipedia account. Galileo’s information is near the end. I apologize for my error in memory recollection.